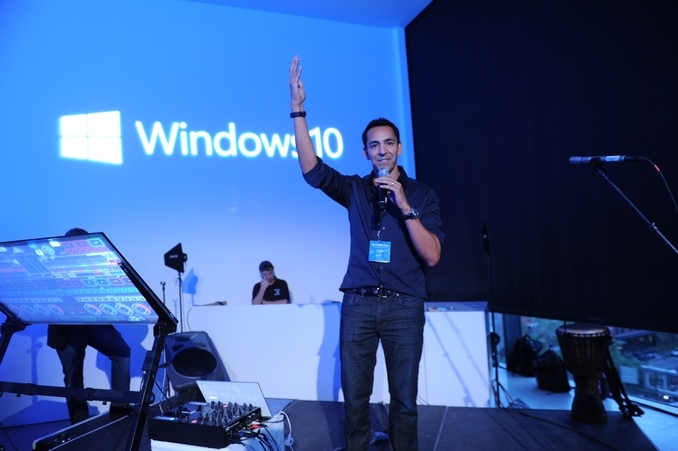 It’s Friday and Gabe Aul has unleashed another new build of Windows 10 to people in the Windows Insider Program’s fast ring. 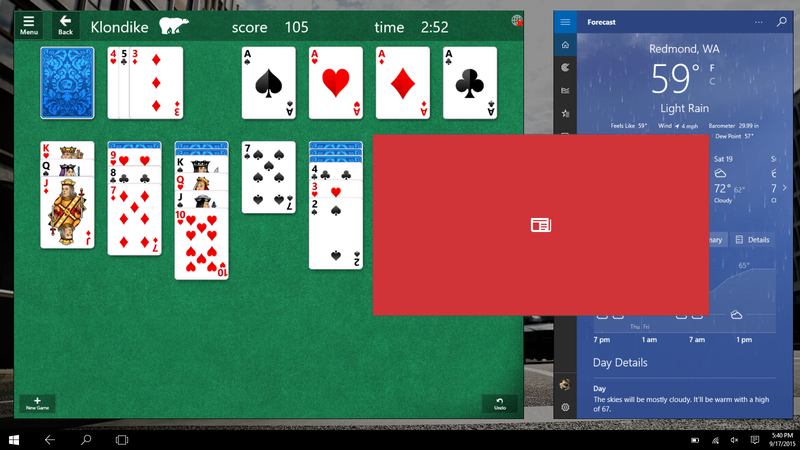 Unlike the last build which was mostly just some cosmetic changes, build 10547 looks to fix a few of the complaints that I had with Windows 10 in our review. One thing that bothered me was that the Start Menu would not allow you to create groups more than three “medium” tiles wide, and with this update, users can select “Show more tiles” in the personalization settings which allows a fourth column of tiles. It’s nice for the desktop, but this should be very beneficial to tablet mode which I felt was wasting a lot of space with just the three column width. Having four columns also allows for two wide or large tiles to be on the same row, which is a much better solution than having to plug holes with smaller tiles even if you don’t really want them. 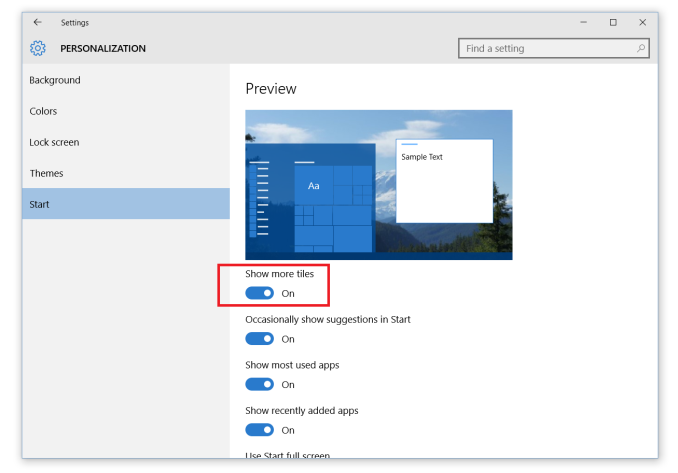 Hopefully the wording changes on the setting, since Show more tiles is not really what the setting is doing, and it is of course a fall back to the Windows 8.1 setting with the same name which actually did allow you to put more tiles on the Start Screen. Tablet mode also gets some tweaks. I felt that Windows 10 actually lost a step compared to Windows 8.1 in just touch usage. 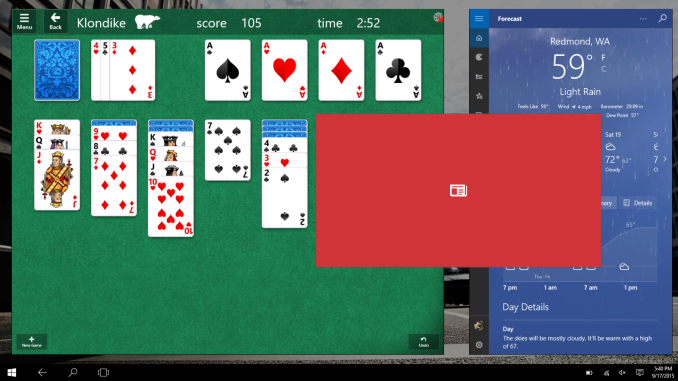 Microsoft appears to be trying to bring back some of the good tablet features that Windows 8 had. A small change which should actually be a nice change is that when you have two apps snapped in tablet mode, you can now snap another app over one of those, just like in Windows 8.1. 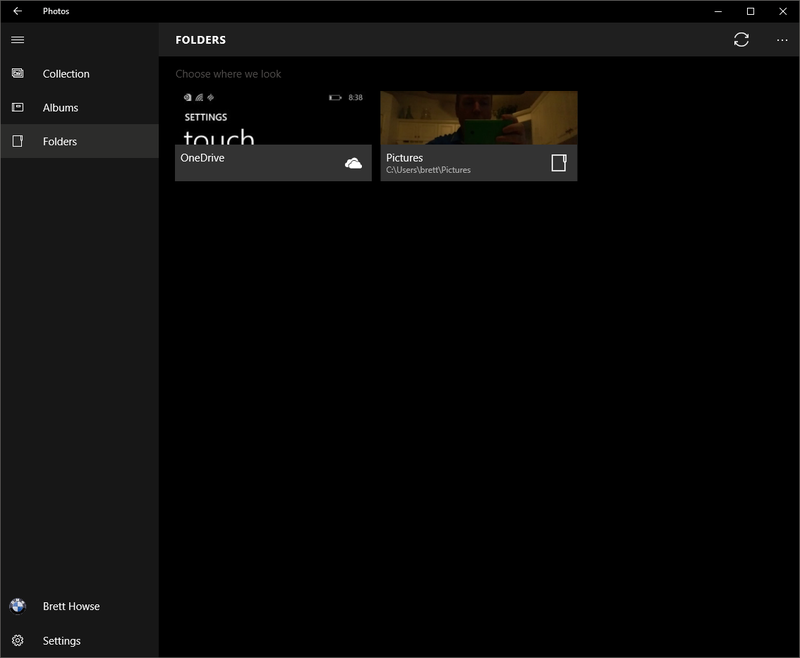 Microsoft has a graphic that shows the app teeter from side to side to show you which side it is going to replace. It’s a small change, but welcome. Windows 8.1 was pretty solid as a tablet operating system so it’s great to see Windows 10 adding some of those features back. The core apps are also being updated constantly, and we’ve seen some good changes to things like Mail getting an option to disable conversation view, and the photos app keeps getting iterated to make it a better experience. It has been updated again to make it more obvious which photos are on your PC and which are in the cloud. Other core apps like Xbox app are getting updated, and the Xbox app is gaining a Beta program too much like the Xbox itself has. The Start Menu has gotten some fixes, and with this build the 512 app limit in the Start Menu has been increased to 2048 apps. While there should not really be a limit here, 2048 should be enough for pretty much anyone as far as installed apps. Cortana, which before required a Microsoft Account, is now usable with a local account. I’ll have to test to see exactly what this means. In the original version of Windows 10, enabling Cortana with a local account would force the system to switch the account login to a Microsoft Account. It’s not clear from the release notes if you can just log in to Cortana with a Microsoft Account now instead of switching the login, or if it is actually usable with just a local account. There are, as usual, a few known issues as well including Store Apps may not update automatically, so please check out the known issues before installing in case one of them will directly affect you. Probably they had no limit originally, someone stress tested it by adding thousands of items to it and saw something (probably performance) puke, at which point the cap was added to keep it from failing if abused. Using round binary numbers instead of round decimal ones was probably just because the implementers were geeks at heart. Possibly because they don't have 16 or 32 bits to spare, they have 9 (now 11). Using a number range or field size that is not a multiple of 8 bits is very common, usually because you're tight for space. Even if the original number isn't a problem it can compound elsewhere. More so than that, automated testing showed them that loading 512 32x32 pixel icons+text wouldn't go over their memory limit for that particular module. The total memory used by the icons themselves is exactly 2^24 bits (2MB, or twice the size of a regular stack allocation), which would not be particularly good for memory reduction. Throw in memory loading constraints, and performance considerations, and you can see why they would want to limit something like installed apps simply because nobody in their right mind would ever install 512 apps on a computer! Not sure, but I think the 1.25GB is a slipped decimal point. Windows allows icon sizes up to 256x256 (extra large icons in explorer); 256*256*4*512 is 128MB. 1.25GB would require 1024x1024 icons stored at 3 bytes/pixel instead of the standard 4 (which'd mean giving up any transparency effects).